How do you decide which books belong in your life? Twelve years ago, I started downsizing from my 1500-square-foot house into the 84-square-foot house that I had designed and built myself. I had to make some hard choices about what I was going to keep, and what I was going to let go. For me, books were among the hardest choices, and I chronicled just how horrible this experience was in my built-it-myself memoir, The Big Tiny. Some people have a whole room for their home “library.” I was going to have a 10-inch-long shelf in the “kitchen,” plus whatever I was reading at the moment that might live by my bed in the sleeping loft I climbed into via a ladder. I made my choices, and pared down. Now I’m moving again. And downsizing, again – squeezing into a 56-square-foot house, a space 30% smaller than my already-small space! I’m going through the paring down process all over again, and books present a challenge once more. How do you decide which books belong in your life when space for books is in tight supply? Whether you’re moving from a big house to a less-big-house, or from a tiny house to a tinier house, here are my tips based on twelve years of tiny house living, and the process I’m going through right now. 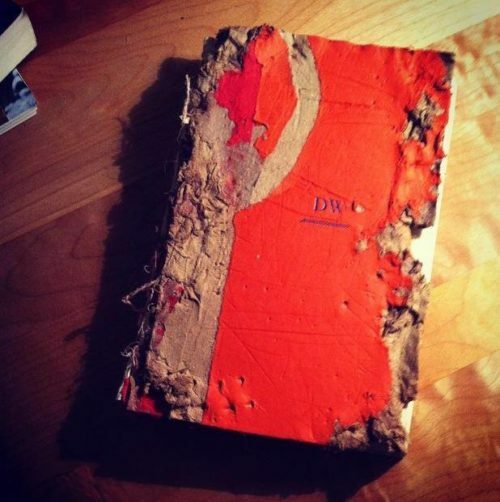 I love books, not only for the innate way some authors can articulate human existence, but for the way they can pinpoint a unique time in my life. Just looking at a book can remind me of when I was in love, when I was struggling with grief, or when I was infatuated with architecture, climbing, wilderness survival, or edible landscapes. Can’t We Talk About Something More Pleasant by Roz Chast—A graphic memoir about taking care of aging parents. I kept this one because I love the artwork, and also because I have aging parents. Roz’s work helps me see that I am not crazy when my parents drive me nuts. Being Mortal by Atul Gawande—A surgeon’s take on why the Western world struggles with mortality. This book has been very helpful as I witness my friend’s final days, and as I deal with my own limited understanding of life, death and how we need each of these to complete our human experience. Monkey with a Tool Belt by Chris Monroe—I’ve had several friends say that the monkey in this children’s book reminds them of me. I know they’re right, and I’m still examining our similarities. I’ve held onto these and a few other select books over the years, but do you want to know the real secret of how a book nerd lives in a tiny house? The local library is where I get my fix. They have great selections for fans of architecture, travel, memoir, and monkeys with tool belts. My workplace also has a free library, where you can grab a great beach book and return it later when you’re back from vacation. That’s the best way to minimize book clutter: assume that books are moving through your life, and that it’s the memories and experiences they evoke in you that will stay with you for the long haul. If you need to downsize your book collection, whether you’re moving into a 56-square-foot house or not, start by picking out the books that are truly sentimental, or that you can keep growing with over years to come. For the rest, take a page from Marie Kondo: thank the book for what it offered you, whether it was a novel you loved but will never return to, or a pretty shelf decoration you never opened or read. Then donate it to your local library or used bookstore, where someone else can find it and love it too. 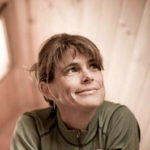 DEE WILLIAMS is a tiny house pioneer and author of The Big Tiny who built and moved into her 84-square-foot house in 2004. 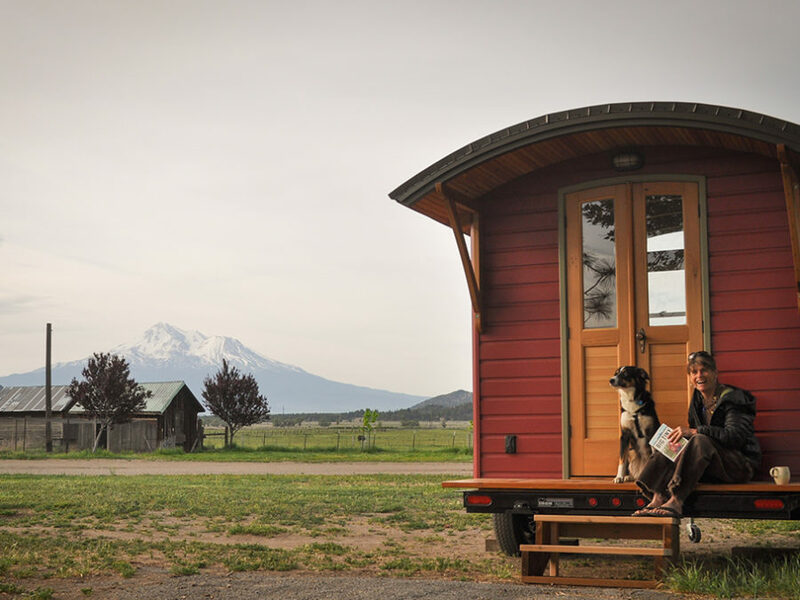 She founded PAD Tiny Houses to educate the DIY tiny home builders of the world with workshops, resources and home designs, and to teach others to build the life they dream, just like she did. Dee’s story continues to intrigue and inspire others—over 20 million people have toured her house virtually, and thousands have toured her house in person. Her house, life and 2014 memoir have been featured in The New York Times, Los Angeles Times, CBS This Morning, Slate.com, Yes! Magazine, and more.